Shop online for 24 z-stuff model trains at discounts up to 16%. Lighting / Electrical is the most popular of the 3 z-stuff model trains categories, then Trackside Accessories, and Operating Acc.. 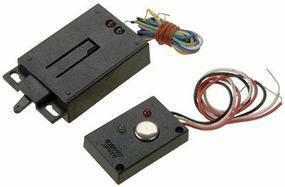 This is the O-Scale Relay Module by Z-Stuff for Trains. This is the O-Scale 3-Color Trackside Signal by Z-Stuff for Trains. This is the O-Scale Switch Machine - TMCC-Ready by Z-Stuff for Trains. 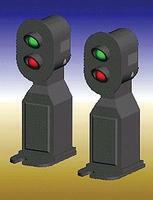 This is the O-Scale Block Signal Detectors (2) by Z-Stuff for Trains. 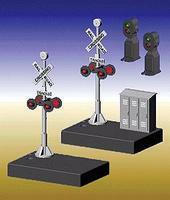 This is the O-Scale Crossing Signal Set w/2 Block Signal Detectors by Z-Stuff for Trains. This is the O-Scale Crossing Gate & Signal Set - Includes 2 Each - Crossing Gate & Signal by Z-Stuff for Trains. 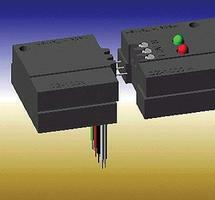 This is the O-Scale Sensors with Complimentary Outputs by Z-Stuff for Trains. This is the O-Scale Lower-Quadrant Semaphore Signal by Z-Stuff for Trains. 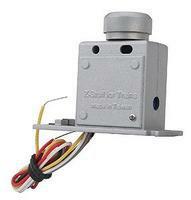 This is the O-Scale Auto-Reverse Unit w/Horn or Stop Control by Z-Stuff for Trains. This is the O-Scale Color-Position Light Signal by Z-Stuff for Trains. This is the O-Scale Wig Wag Signal Set by Z-Stuff for Trains. This is the O-Scale Pennsylvania-Style Position Light Signal by Z-Stuff for Trains. This is the O-Scale Upper-Quadrant Semaphore by Z-Stuff for Trains. This is the O-Scale Trolley Announcement & Control System by Z-Stuff for Trains. This is the O-Scale Remote Controller w/Pig Tail - Features 2 Push Buttons & Red & Green LEDs by Z-Stuff for Trains. This is the O Scale Switch Machine from Z-Stuff for Trains. This is the O-Scale Data Line Driver by Z-Stuff for Trains. This is the O-Scale 2-Track Signal Bridge w/2 Pennsylvania 7-Light Position Light Signal Heads by Z-Stuff for Trains. This is the O-Scale 2-Track Signal Bridge w/2 3-Color Signal Heads by Z-Stuff for Trains.